Downton Abbey worries us. You know how I felt about that singing in Episode 3, and Episode 4 was just plain sad. Well, Episode 5 brought more contrived plot twists and the subsequent fallout—lots of people to worry about. First, a character comes back from the dead, or did he? Is he cousin Patrick Crawley or imposter Patrick Gordon? Whoever he may be, poor Edith had been in love with Patrick Crawley since he was engaged to Mary and now she's despondent. Then, there's desperate Ethel and her hungry baby in that dirty room, Bates and his ill-timed meeting with Vera, and Matthew and the mysterious feeling in his legs (we think it's his legs—he didn't actually say). And speaking of feelings, Robert is feeling neglected by Cora, with the new housemaid Jane ominously standing by. Thank goodness Sir Richard Carlisle made Carson an offer he couldn't refuse. We'll need Mr. Carson watching over Lady Mary when she goes to Haxby Park. We're worried about her, too. 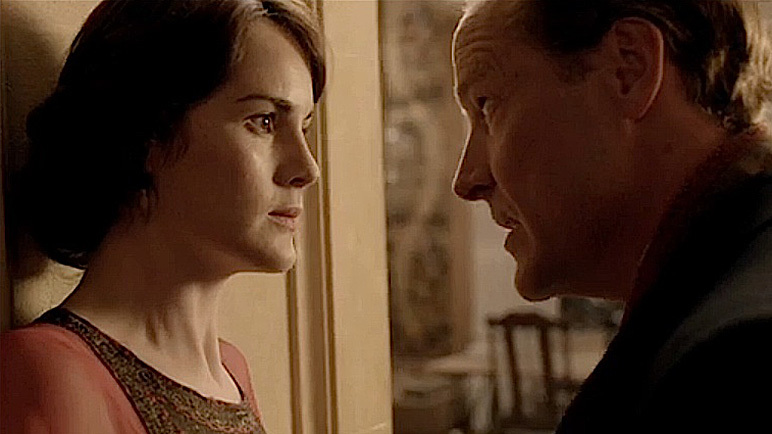 Watch Downton Abbey Season 2: Episode 6 Preview on PBS. See more from Masterpiece.